By now, you should all know that I’m a total brunch addict. I love the idea of eating a little later than breakfast as I’m really not a breakfast person and the prospect of having a few glasses of Prosecco make it even better! So when the Karma Sanctum Soho offers Bottomless, you know I’m there with bells on. The Karma Sanctum Soho is such a quirky location that felt like home when we walked through the door. To the receptionist offering the warmest welcome I’vreceiveded in a long time, to all of the music imagery around the walls; this place just had that feel. You know what I mean right?! 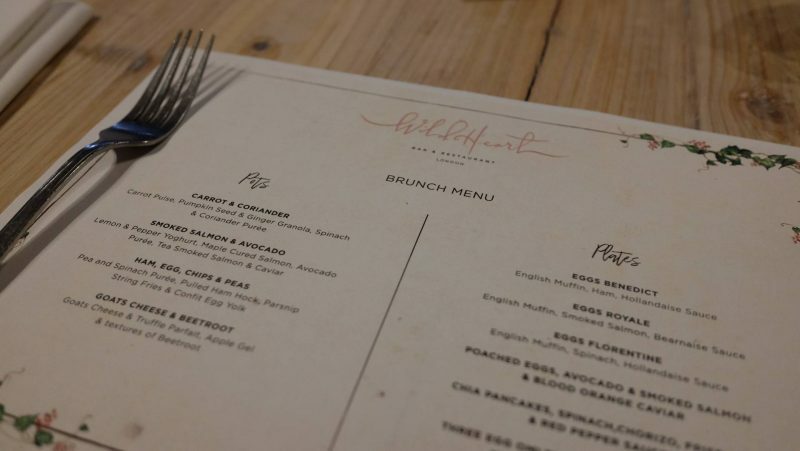 So, as part of your Bottomless Brunch, you order one pot and one plate. I struggled to pick just one of each as there was so much tempting me! When I eventually made up my mind, I was pretty damn happy with my decisions. Purée and topped with Tea Smoked Salmon & Caviar. Pretty posh for me! 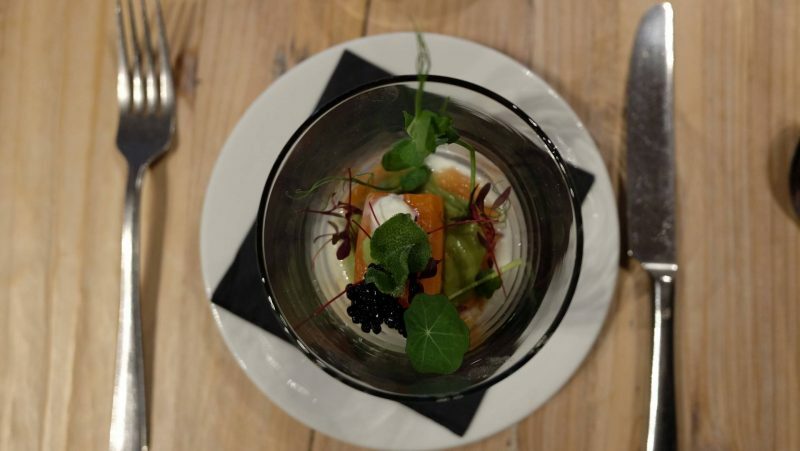 I was really impressed with the amount of salmon that was in the dish and just loved the overall flavours! Mike went for the Ham, Egg, Chips & Peas with a slight twist! It was made up of Pea and Spinach Purée with a layer of Pulled Ham Hock, another fun layer or Parsnip String Fries & Confit Egg Yolk to top it off. His pot was left well and truly empty so I always take that as a sign that he enjoyed it! He loved the use of the parsnip string fires opposed to usual fries and it makes the dish a little lighter and quirkier. My plate choice was something I went with to try new things! I really wanted to try Chia Pancakes so I thought why not try them where you know they’re gonna be good! 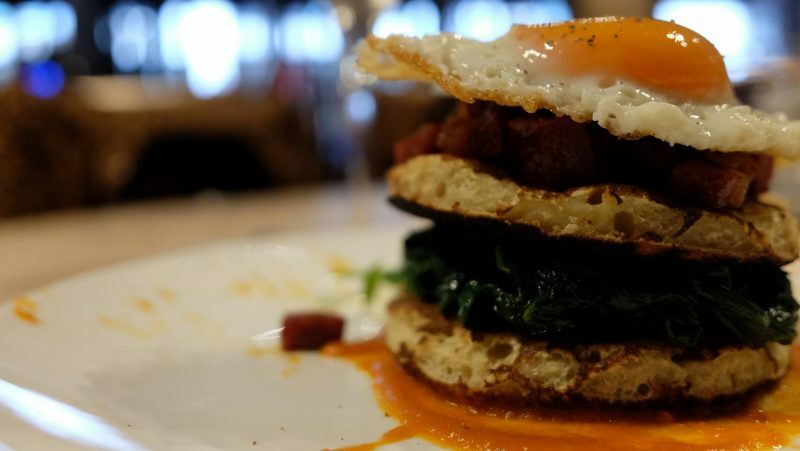 They were stacked with Spinach, so much divine Chorizo, and a good drizzling of Red Pepper Sauce. And I have a confession to make, this was the first Fried Egg I’ve tried; it was so good and I’m going to teach myself how to cook them properly for breakfasts at home! 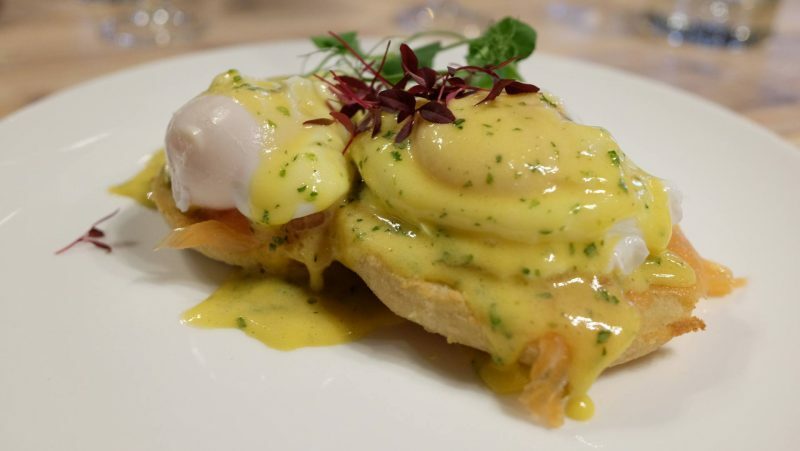 Mike went for a more traditional brunch choice of Eggs Royale, which, for those of you who don’t know, is made up of an English Muffin, Smoked Salmon and a smothering of Bearnaise Sauce. Mike did comment on the sauce being just the right amount as he’s not the biggest fan of too much sauce on his food. Whilst we were thoroughly enjoying our food, our Prosecco was kept well topped up and the service we received was impeccable. We’ve already discussed going back as we enjoyed the whole experience so much. I used to work minutes away and wander past almost daily and I’m annoyed at myself for not stopping and going in all those years ago; it really was that good! Thanks to Love London Pop Ups for sending us along! 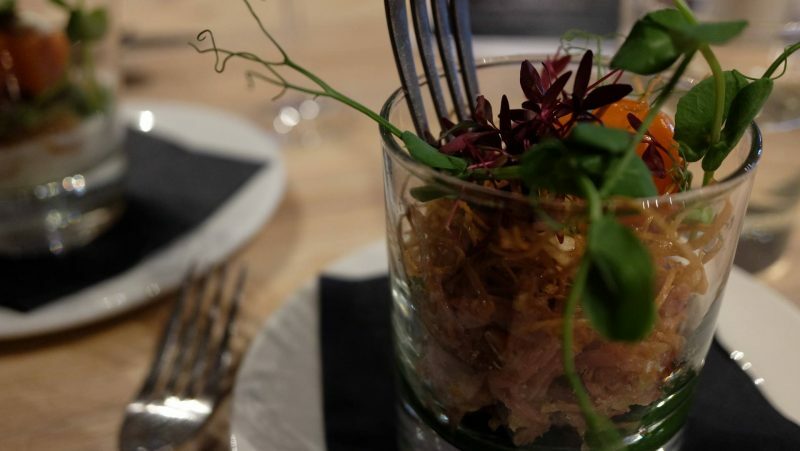 "A FOODIES GUIDE TO MADRID"
"Date Night with Tank & Paddle, Bishopsgate *"